A neat solution to a messy problem! 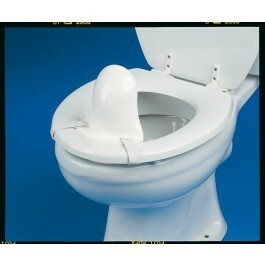 Stays firmly on the toilet when needed yet slides off easily when not in use. Fits most toilet seats. Wash with soapy water or autoclave.